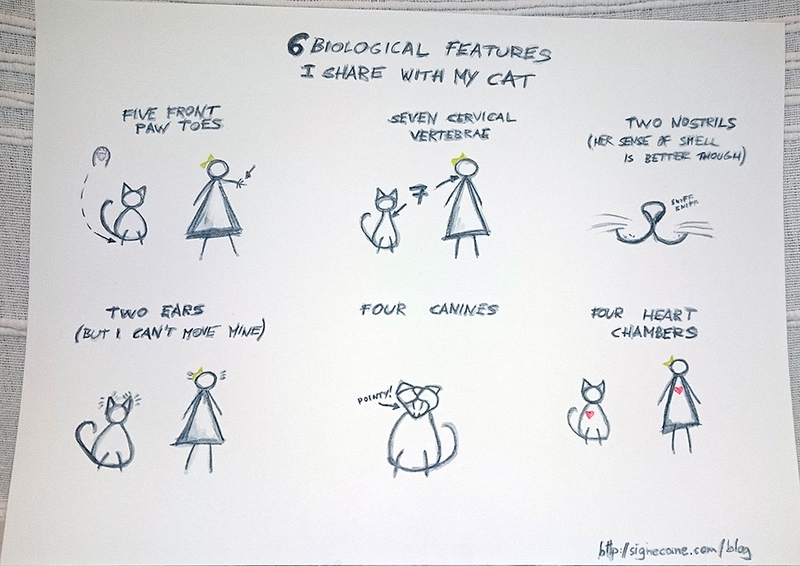 I really wanted to give my new watercolour pencils a spin, so I drew a cartoon listing six biological features I share with my cat. In fact, I kinda cheated. Some of these features are only superficially similar. 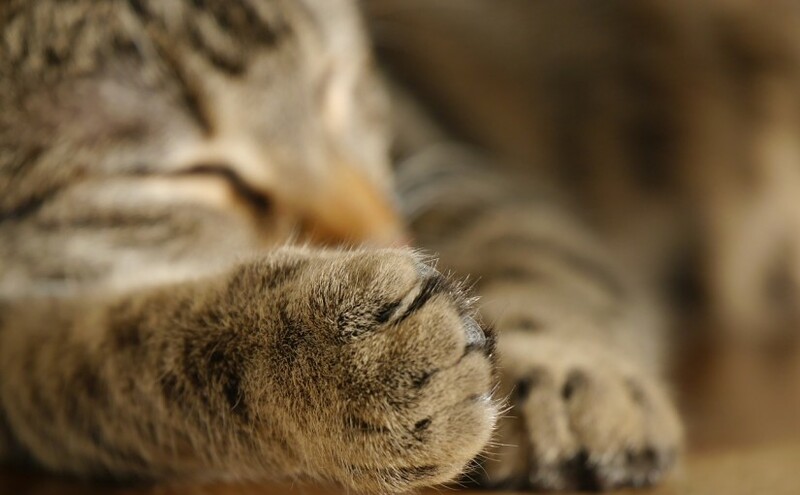 Toes: cats usually have five toes on front paws, and four on the rear; in general, mammals have variety in the amount of toes they have. Vertebrae: cervical (neck) vertebrae are the only ones that humans and cats have the same amount of; cats have extra vertebrae between their rib cage and pelvis, as well a lot of extra ones in their tails. Meanwhile, we have extra ones that support our bipedality. Ears: While both humans and cats have two ears, cats can rotate theirs to hear things better, and can hear frequencies of up to 100,000 hertz, while we hear only 20,000 hertz. Nostrils: Cats may have two nostrils, but their olfactory cells far outnumber ours – 200 million to only 5 million in humans. Sorry for potato quality, I really should have planned to have access to a scanner. Oh and by the way, nearly all mammals have four canines, and all have four heart chambers. Birds have four heart chambers, too!